Many of you are emailing and asking how does this event work? 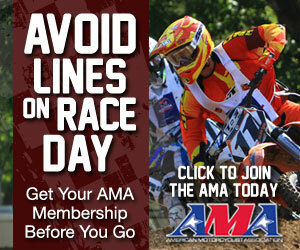 To try and help with any confusion, imagine there was no AMA Women’s Motocross Cup (WMC). Take all the classes that are from the Women’s Cup and add them to the James Stewart Spring Championship. The only difference is that Freestone is offering a place that we can recognize more girls/womens classes than anywhere in the world. The idea is to help grow the one demographic that has the most potential to grow in the motorcycle industry. The bonus for the combined classes (Girls Jr, Girls Sr, Womens 14+ and WMX) is the champions from those classes will be invited to the James Stewart Champions Ride Day at his house in November. The Womens Cup classes will be placed in the race order of the Spring Championship just like all the other classes. When it comes to organized practice, (as an example) if a WMC rider is on an 85cc bike, then that rider will practice with the 85cc practice group. All WMC classes will be in timed practice on Tuesday and riders will get their gate pick based on lap times in their first moto’s. The WMX will have their timed practice and moto’s all on Saturday.